For over 20 years, Ivy Naistadt has helped individuals and Fortune 500 companies communicate with confidence, ease and authenticity. Ivy's unique system will give you the tools and ability to Speak Without Fear. Ivy's system will give you the confidence, tools and ability to speak fearlessly to any audience and drive home an important message in any situation. Fortune 500 companies including IBM, The New York Times, Pitney Bowes etc. Private one-on-one coaching sessions help executives strengthen the effectiveness and power of their presentations, public speaking, video appearances and podium techniques. Presentations designed for high level executives, sales professionals, or anyone who wants to become an authentic, confident communicator. Interactive workshops offer a combination of individual coaching and group instruction, video feedback and practical exercise that make learning easy and fun. So, what happens when you must read a fully scripted speech? And most likely present from a podium? How do you make it sound natural and remain relatable? Quick Delivery Tip - The Eyes Have It! I’m kicking off the New Year with a Quick Delivery Tip to help you calm down your nervousness, up your public speaking game and get off to a good start in 2018. Are you an Avoider, Anticipator, Adrenalizer or Improviser when it comes to making a presentation, going on a job interview or speaking before a large audience? Whatever your nervousness profile may be, the fear of public speaking has taken over and disabled you from giving an effective, well-executed performance. 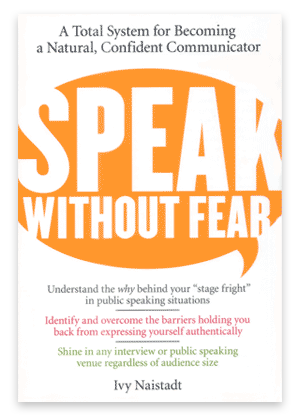 Speak Without Fear will help you with overcoming fear of public speaking. You're not alone. Available in paperback, hardcover, Kindle, Audible book, and audio CD. Also available as an eBook and Spanish, Russian, Arabic and Indonesian translations. "This book could be your Bible"
Working with Ivy is nothing short of transformative, and from a career development standpoint, no other training comes close. . Your coaching has helped me tremendously, and I am much more comfortable and confident as a public speaker as result. I am most grateful to you and hope that I may call on you in the future. We found that Ivy had the ability to work with a diverse team and to leverage each person's natural style to construct and deliver a dynamic and powerful presentation. Thanks Ivy for helping us achieve the "WOW" factor! I wanted to thank you for working with me this year It was a big step for me to give and external speech to a group of 1,000 people. Your intuitive skills are second to none. Your work on understanding the audience I was speaking to and your ability to capture who I am made this speech an unbelievable success. I could not have anticipated the popularity and impact of both of these communication skills programs on the organization. The results of your work have been outstanding. I just came back from our conference and the comments were that I delivered the best speech ever! I cannot thank you enough for your excellent speech coaching and look forward to working with you in the future. I give you a great deal of credit for helping build my confidence, I’ve tested the techniques you taught me as a presenter. Whereas I would previously have been a nervous wreck, I dazzled ‘em with brilliance! 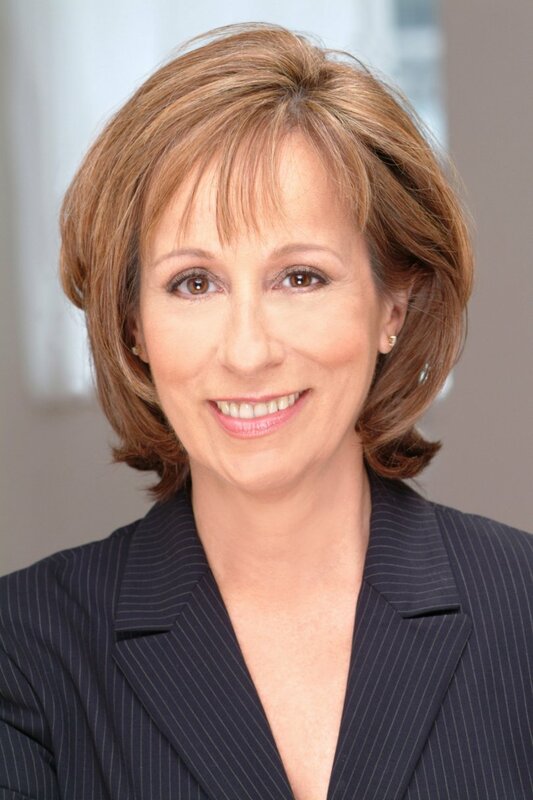 A top flight ‘Pro’, Ms. Naistadt is accommodating, efficient, thorough and able to adapt her unique approach successfully to virtually any environment or style of business professional. Your instincts are unreal. I’ve spent a whole lot of years working in this sort of environment, and you are the consummate professional - Thanks for a flawless job.